Similar to the Farm to Table food movement, we believe in sourcing our ingredients and vendors locally to promote communities and jobs as well as cutting down on the costs of long distance shipping (both financial and environmental). In addition we can use our platform to encourage and sustain local and organic farming. COOLA incorporates natural plant phyto-protectors into all of our products. These ingredients, such as plankton, red algae, and red raspberry seed oil (among others), help boost our sunscreen formulas, naturally. They also allow us to limit the number of FDA approved active ingredients we use. We love animals! In fact, we have a dog friendly office! We have teamed up with PETA to support our similar interests in protecting our four-legged friends and critters of all shapes and sizes. Red flower was created from a deep-rooted love of the land and spirituality, as well as a sense of science and holistic medicine. We’re founded on the principles of world traditions, sustainable sourcing, ritual, well-being and aesthetics. We offer a new approach to the concept of beauty and grooming. Something that cannot be bottled, but is embraced. Red flower is a calling. A ceremony to feel all of the senses. A moment taken to reconnect and restore. Offers an ever-evolving line of flower body washes, lotions, shampoo and conditioners that are entirely botanically based, 100 percent vegetarian and paraben-free, available in 13 flower scents. we also create organic perfumes, bath salts, teas, oils and balms. Red flower was founded by yael alkalay with a vision for people to create ritual and beauty in their everyday lives. focusing on both the internal and the external, always searching and trying to find, yael believes that true indulgence is personal and takes a lifetime. What started in 1999 at barneys new york with six flower candles and two organic flower teas soon grew into a global presence. The line continues to evolve and grow with over a hundred products. Each is simple and clean and contains powerful, natural ingredients that promote health, environmental consciousness and integrity. This is what makes red flower so innovative. Red flower is a journey. From the wild crafting pepperina farmers in cordoba to a devout base of well-known followers, there is a connectedness from the first harvest to the last drop. With ingredients that deliver a vital flow of energy and a euphoric release at spa or at home. Always present, we recognize the simple things you do every day can be elevated to the realm of pleasure. Ilike’s fruit and herbal ingredients are formulated and processed in a unique way that maintains the vitality of the natural active ingredients. Because of this process, you can immediately experience the rich and deep penetrating effects of their products, as well as their magnificent aromas and colors. Their use handmade pulps versus extracts, which retains the full concentration and power of the herbal ingredients. Every ilike product is full of vitamins, fruit acids, and bioflavonoids, which combined with other ingredients, treat, nourish and beautify the skin rejuvenating it from the inside out. Hungary – a land blessed with fruits, vegetables and herbs that draw their succulence from the soil and thermal hot springs of the Carpathian basin long known for being rich in minerals and trace elements found nowhere else on earth. A country in Eastern Europe with a long history of using locally available ingredients in their healing treatments. Due to the soil, the somewhat dry climate and abundance of sunshine, Hungarian herbs and fruits are uniquely rich in active ingredients and aromatic agents. From these ingredients Ilike Molnar, lovingly known as “Aunt Ilcsi”, has been creating organic skin care products since the late 50’s. Aunt Ilcsi combined the family knowledge of herbal remedies with schooling at Vienna’s highly renowned Aesthetics School. Upon graduation with extensive study in biochemistry she began researching and developing all natural and organic skin care products. She believes, as her grandmother the village herbalist taught her, that what we need to maintain health and beauty can be drawn from nature around us. The creation of Buddha Blends was started in 1998 by Renee Duval. Her experienced background in yoga, the healing arts and esoteric sciences prompted her to create a detoxifying bath formula without chemical additives and with just the right combination of natural ingredients for optimum results. No chemical preservatives of any kind are used. The fragrances used in the creams are pure essential oils and natural fragrance extracts. They do not contain endocrine- disrupting phthalates, present in so many personal care products containing synthetic fragrance. 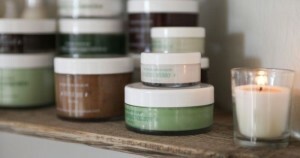 At Waterstone Spa we carry Buddha Blend’s organic line of body butters, bath salts, sugar scrubs, body lotion, body oil and Aura balancing sprays. Many of her wonderful scents are Coconut, Chocolate, Pikake, Amber, Sandalwood, Mandarin-Neroli, Peppermint-Lavender, Tahitian Vanilla and Mango-Papaya. 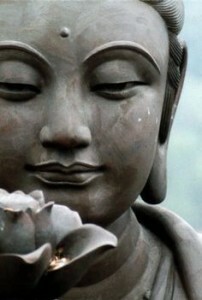 “Buddha Blends embraces the philosophy of bringing beauty and grace to the process of personal refinement. 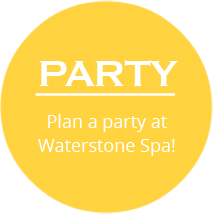 This philosophy has been perfectly represented by Waterstone Spa. They have carried Buddha Blends exclusively in Ashland for the past seven years. They’ve recognized the value of all-natural, made to order, hand-blended, local products that contribute to the well being of all concerned. We have built a relationship based on mutual respect and integrity, the cornerstone of the Buddha Blends business model. 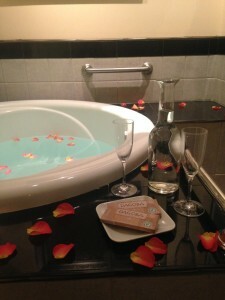 SacredEarth Botanicals® are Waterstone Spa’s main massage products located in the heart of the Willamette Valley’s wine country near Eugene, Oregon. Sacred Earth’s mission is to promote a line of professional massage therapy products with a focus on certified organic ingredients, environmentally friendly packaging, and sustainable business practices. They offer customers peace of mind knowing their massage products have been thoughtfully developed with the health of the therapist, client, and the environment in mind. Our facility is certified organic by the Oregon Tilth and the USDA. Since 1993, DreamTime, Inc. has designed products that remind and encourage us to relax, nurture and take care of ourselves. Through the daily chaos of our busy lives, many of us have forgotten how essential personal relaxation time is. It is essential to take time each day to clear and quiet the conscious mind, to allow our bodies to find relief and balance, and be true to ourselves. DreamTime products assist in helping the body and mind rejuvenate; encouraging both physical and emotional well being. All their products are of the highest quality and purity, are environmentally friendly, contain no animal products, and are never tested on animals. We carry DreamTime’s Breathe Easy Sinus Pillow, Sweet Dreams Sleep Mask, Back in Motion Back Wrap and Warm Embrace Body Wrap.